We begin the New Year with a Special Assignment investigation into the murky world of the poultry industry. As we expose a multi-billion dollar business that operates without proper mechanisms in place to ensure product safety and quality controls. Our investigation begins in Brazil, where a recent meat scandal has led to the country losing its credibility as a global leader in meat exports. In South Africa, we uncover how incorrect labeling on chicken at retail store Food Lovers Market – misleads shoppers and compromises the products safety, putting at risk the health of thousands of people that consume this meat. A Brazilian Federal Police probe, last year code name, operation Weak Flesh uncovered that health inspectors were paid bribes to allow the sales of contaminated meat for export. 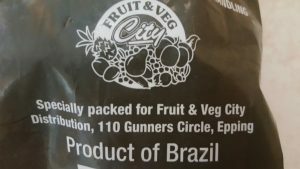 Following reports of unsafe Brazilian meat, how safe are their imports to South Africa? After searching for imported meat in various local retailers, we discovered that Food Lovers Market sells chicken branded as a product of Brazil. To avoid an unbiased report we tested this meat sold at the retailer and also tested a popular brand of South African produced chicken. We found that the meat sold at Food Lovers Market contained high levels of bacteria which pose health risks. Food Lovers Market declined our request to respond to the damning evidence in an on camera interview. Instead they issued a statement in which the company denies that the meat they sell in their stores is imported from Brazil. They say that it’s locally produced meat which they get from their distributors. It further states the poultry was wrongfully packaged as a Product of Brazil at their store. The Consumer Protection Act specifically prohibits labeling that is misleading. Food Lovers Market says they did their own tests on the meat we uncovered and concedes that it does contain high levels of coliforms, but it’s safe to eat. A Food Safety Expert we interview says this indicates the meat is handled in unhygienic conditions. Dr Patrick Njobe says “these pathogens are toxigenic which are able to produce toxins that are found to cause cancers”. Food Lovers Market says they have since introduced processes to prevent the wrongful re-branding of its chicken in future. But when we visited one of their stores we found its chicken is still being sold as a Product of Brazil. They also sell other chicken which they label as being a product of Argentina, USA and the European Union. The retailer is a major supplier of imported chicken which it sells at its stores countrywide and in neighboring states. Local chicken producers say the industry is on the verge of collapse, because of the recent bird flu epidemic and imported chicken. We also travel to Hammersdale in KZN where we observe the alleged consequences of chicken imports at Rainbow Chickens – where more than a thousand workers were retrenched. Busisiwe Zungu a worker that lost her job after working at the company for 27years says “the poultry producer, Rainbow Chicken doesn’t have enough money or power to compete against imported chicken”. Local Poultry producers have accused export countries of dumping chicken in South Africa, which they cannot sell in their own markets. In this episode, we ask the questions why government has failed to protect the local poultry industry from imported chicken. What’s been done to ensure retailers do not mislead the public with incorrect labeling to sell their products? And what regulations exist to ensure consumers are sold a safe, quality product?